Beat Party give you much more than just disco. With an emphasis on feel-good party music, the Beat Party repetoire combines the best party and disco favourites with more recent chart dance tunes. Perfect for corporate functions, summer balls, private parties, weddings or any other event where you want people to get up and get down! Members of the band have been collaborating together since 1987 and Beat Party first performed together in 1999. 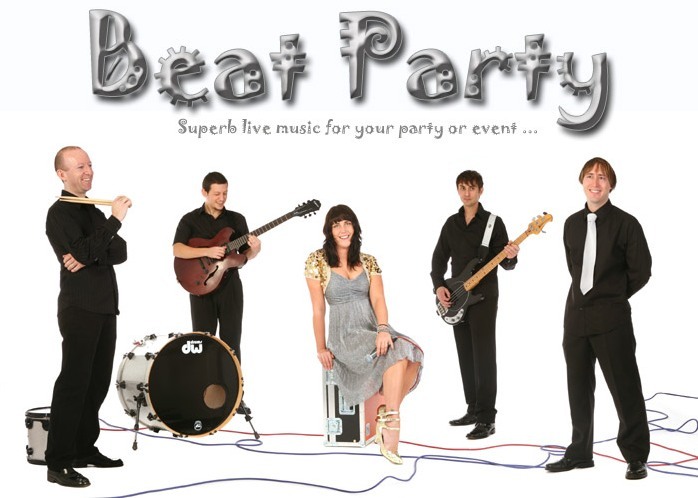 Based around London, Beat Party have performed all around the country for numerous satisfied clients. Beat Party work with the utmost professionalism using top quality equipment for the best sound and light experience. Our show usually comprises 2x1 Hour sets packed full of the best party music.